Dr. Joseph Young graduated from New York Chiropractic College and has been practicing chiropractic for over 15 years. Dr. Young combines cutting edge technology with traditional chiropractic care to create a comprehensive approach to patient yielding a high percentage rate of pain relief. Dr. Young is certified in Active Release Technique (ART), Spinal Decompression (IDD Therapy), Manipulation Under Anesthesia (MUA),electrodiagnostics, and Kinsiotaping. 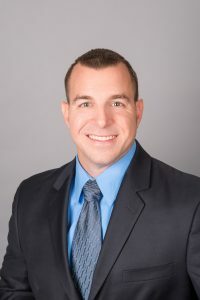 He has been recognized by the “Who’s Who Among Doctors in America” in 2012 and is a member of the Association for New Jersey Chiropractors since 2005. Dr. Young’s mission is to help the community through the use of alternative medicine, cutting edge technology and exercise to live life pain free.